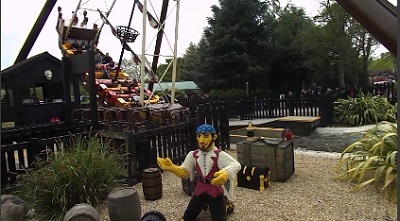 Legoland Windsor is a child-oriented and family friendly theme park and resort in Windsor which is around a one hour trip from London. 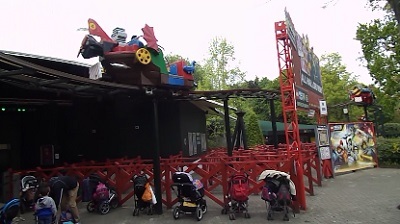 The park opened in 1996 and was the second Legoland after Legoland Billund in Denmark. The park’s attractions are a mixture of Lego-themed rides, Lego models and interactive areas where children can build with Lego. 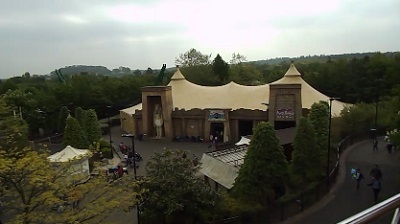 In 2015, the park had 2.25 million visitors, making it the most visited theme park in the United Kingdom. The theme park is located a couple of miles outside of the centre of Windsor and is accessible by car, local bus, coach or taxi. The park is split into 12 themed lands, incorporating various attractions for particular age groups. The Beginning, Imagination Centre, Duplo Valley, Miniland, Adventure Land, LEGO City, Pirate Shores, Heartlake City, Knight´s Kingdom, Land of the Vikings and Kingdom of the Pharaohs. One of the innovative aspects of the park is that once you have gone through the ticket check at the entrance, you can go to The Beginning which is the entrance to the park and provides some distractions for children before the rest of the park opens. In this area is the Hill Train, the Lego Star Wars model display and the Model Making Studio. Nearby is the Imagination Centre which features educational attractions and workshops. 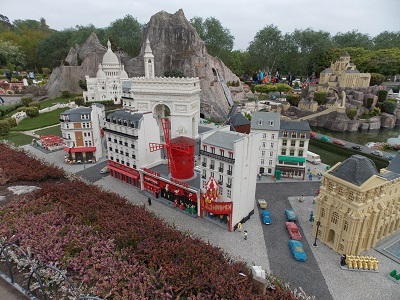 At the heart of the resort is Miniland which is a remarkable miniature park which features in Lego form, towns and cities from around the world. 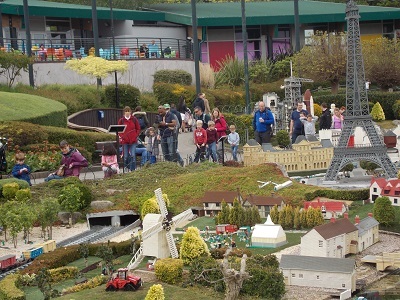 Over 40 million Lego bricks were used in creating the models which often have some moving parts including cars, boats, planes and an extensive train system which is run by computers. Nearby Duplo Valley is generally aimed at the 3 – 6 age group with a series of water features including Fairy Tale Brook, Raft Racers, Splash Safari and Drench Towers. Lego City has transport themes and allows the 6-13 age group to try Balloon School: Experience the ups and downs of a hot air balloon ride. Coastguard HQ: an interactive boat ride for children. Fire Academy: helping the ‘firefighters’ to power a LEGO fire engine and putting out a ‘burning’ building. 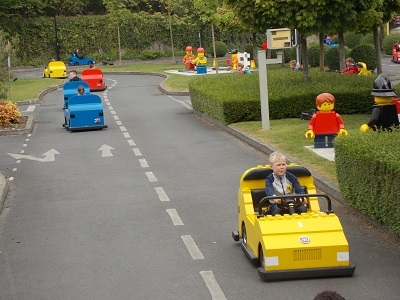 Lego City Driving School is a large course in which children drive their own car to gain their driving license. For young children there is a small driving school. Heartlake City is based on the Lego Friends product range and includes the Heartlake Express, Mia’s Riding Adventure and Olivia’s House. Located around a lake, this is a good place to sit and relax and perhaps have a bite to eat. Other areas such as Land of the Vikings, Kingdom of the Pharaohs and Pirate Shores are built around a number of popular attractions. A large castle awaits visitors to Nexo Knights Kingdom with the major rides being The Dragon and the Dragon’s Apprentice. This area also has a very popular Adventure playground. 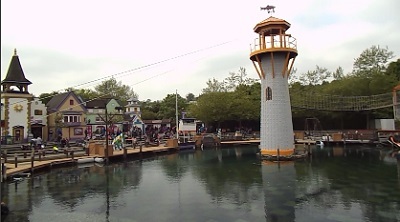 Adventure Land is situated around a lake at the far end of the park. The main attraction is Atlantis Submarine Voyage which features “submarine” vehicles used to travel through the tanks of sharks and other marine creatures. Many children’s love affair with Lego is as strong as ever and Legoland Windsor will not disappoint with a wide range of attractions and activities. However it is worth noting that the park will generally appeal to the 3 to 13 age group, there is none of the large blockbuster rides that would appeal to teenagers. Most of the rides are quite short in duration and will provide plenty of enjoyment for the intended age group. 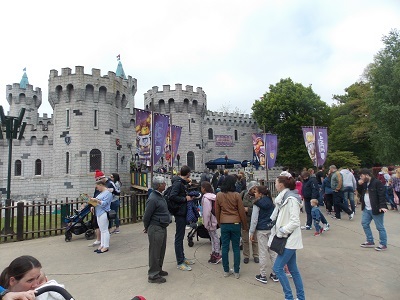 In some ways, Legoland Windsor is a victim of its own success and does get extremely busy in peak times especially weekends and school holidays. Queues can be quite long for some rides and if you want to get the most out of your visit regarding rides it may be worth paying extra for the Q Bots system which can “reserve” places in queues virtually. It is also cheaper to book tickets in advance, these can be quite a saving from the walk up admission price. 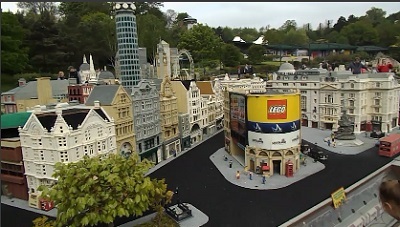 Legoland Windsor generally opens from March to November, but there are closures on some days. By londonvisitors2014 in London Attractions on May 11, 2017 .